Radon is a naturally occurring radioactive gas produced by the breakdown of thorium and uranium in soil, rock, and water. It is also the only gas under standard conditions that have radioactive isotopes and is considered a health hazard due to its radioactivity level. Air pressure inside a building is usually lower than the air pressure outside; this causes a vacuum effect known as pressure differentials, drawing radon in through foundation cracks and other openings. Even if there are not visible cracks in the foundation, it is possible to have still high radon levels in a building because of radon's ability to permeate through concrete. According to the American Lung Association 21,000 people a year die of radon-induced lung cancer! Radon is the leading cause of lung cancer for non-smokers and the second leading cause of lung cancer in the general population. 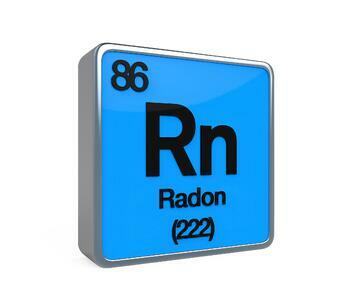 The Surgeon General and EPA recommend testing for radon and reducing radon in homes. It is noted that any radon exposure carries some risk of causing lung cancer. The lower the radon level in your home, the lower your family's likelihood of lung cancer. According to the National Health Council, Radon gas decays into radioactive particles that can get trapped in your lungs when you breathe. As they break down further, these particles release small bursts of energy. This energy damages lung tissue and can lead to lung cancer over the course of your lifetime. Get your home, children's school and place of employment professionally tested as soon as possible to find out what can be done with potentially dangerous levels of radon. There are simple solutions to correct radon problems. Hundreds of thousands of homeowners and building owners have already fixed radon problems. Most buildings can be fixed for about the same cost as other common repairs.